Don't miss your chance to buy Go Rhino products for F-150 and save up to $250! - Ford F150 Forums - Ford F-Series Truck Community. 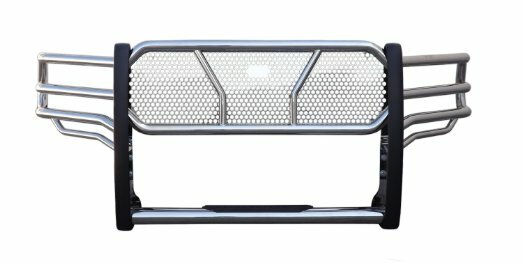 At CARiD we offer a wide variety of front grille guards. We have you covered whether you want a sporty look, heavy duty protection, or functionality out of your grille guard. So guys, the Go Rhino Cyber week sale starts now! 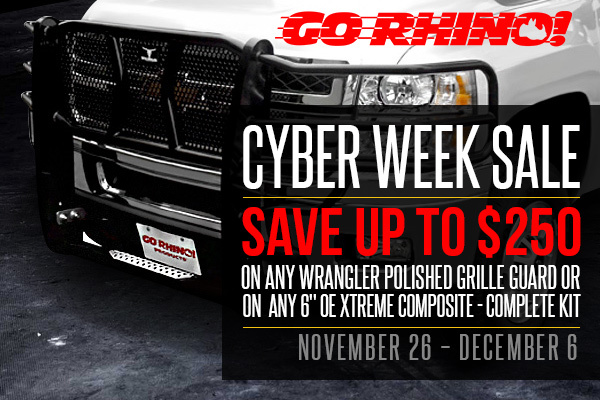 Save up to $250 OFF the original price, purchase Go Rhino wrangler polished grille guard. Check the item here. Go Rhino! Products introduces a new design of the 6" OE Xtreme II Composite sidesteps. Save up to $100 OFF the original price, buy any 6" OE Xtreme Composite - Complete kit: SideSteps + Brackets. Find out more information about these sidesteps here. 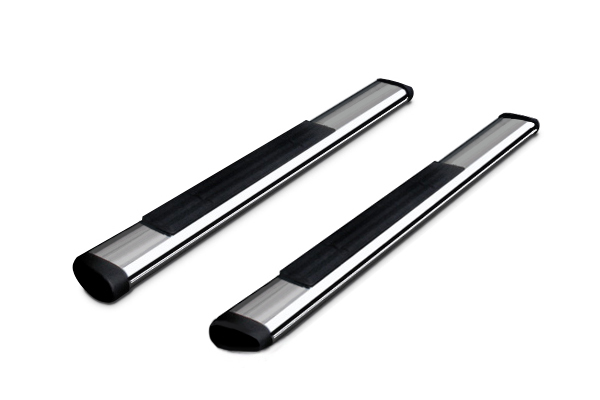 These new sidesteps are multi-fit and made from blow-molded ABS plastic with an aluminum frame. The offer expires on December 6, 2014. So hurry up to take advantage of this offer! Quick Reply: Don't miss your chance to buy Go Rhino products for F-150 and save up to $250!